I grew up in a town like Skillute, Washington. Well, not exactly. But the similarities are certainly there. A small town, complete with American flags and a sense of calm. But then you start to look a little deeper. You start to see the deep cracks in the foundation. Granted, the cracks in my town are nowhere near as deep or twisted as Skillute’s. But that’s one of the many strengths in S.P. 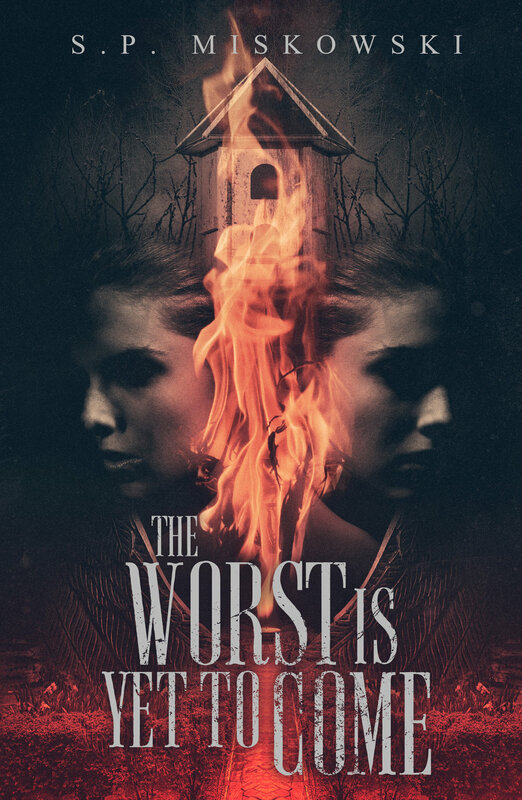 Miskowski’s new novel, The Worst Is Yet To Come. It’s all about a sense of place. This novel is a reflection of how the world we live in can change us, how it can bend and break us into monsters if we’re not careful. While I haven’t read any of her previous novels featuring Skillute, I never felt lost or out of my element. That speaks to the skill she’s brought to her creation. Miskowski wastes no time shepherding us into the story. We are quickly introduced to Tasha and Briar, pulled together in a way that almost feels like destiny. In those early pages, as the two girls are quickly bonded together by an act of righteous violence, I could start to feel the wheels turn. As the focus on our protagonists shifted to the other characters, I found the urge to hold my breath creeping up. I knew something bad was coming, but I wasn’t quite sure what form it would take. The Worst Is Yet To Come comes in at a brisk 208 pages. Every page is used effectively to deliver atmosphere, character, and most importantly, dread. The themes (motherhood, the past manifest) are themes that we’ve seen in Miskowski’s work before. But their usage here feels reflective of our world in 2019. Many of the problems that these characters face are the same problems wrought large on social media and news coverage. These problems are handled with a care and depth that you’re unlikely to come across very often, especially in speculative fiction. Though these ideas sound big, they are presented in such a fashion that they never felt unrelatable. S.P. Miskowski is one of the greatest writers working in horror today. Her grasp of language and her skills at crafting a story are immense. By the time we hurtle into the conclusion, we’ve been dragged through the mud and we don’t quite come out unscratched. The ending may seem abrupt, but I suggest you take a moment to dwell on it. Bad things happen in Skillute. And not everyone will come out safe on the other side.